The company is headquartered in Virginia Beach with a fully staffed branch office in Richmond. The Richmond location was established in 1998 due to several customers opening locations in Richmond and requesting we follow so they could continue to get the same unmatched service available at the beach. The Richmond location ran by Joe Vieni and has had substantial growth with our present customers and new customers who enjoy our philosophies and work ethic. Tecta America acquired Roof Services in 2018. The Tecta America combines the companies of Roof Services under a strong portfolio of roofing companies giving our customers a more comprehensive experience than ever before. 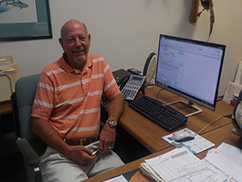 John has been in the industry since 1973 and joined Tecta in 2018. 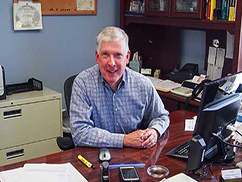 He opened Roof Services Corp in 1989 in Virginia Beach. He is the managing partner of RSC and responsible for all financial functions and decisions for the company. 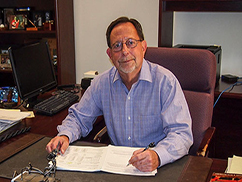 Gary has been in the industry since 1977 and joined Tecta in 2018. 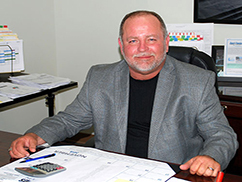 He opened Roof Services in 1989 in Virginia Beach, VA. Gary is responsible for overseeing operations for the Sheet Metal, Composite Metal, and Operations Department. 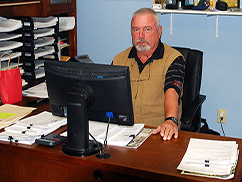 Danny has been in the industry since 1985 and with Tecta since 2018. He started as a laborer and currently supervises over 10 foremen. He is responsible for project management, scheduling, safety, and material ordering. Gill joined Tecta in 2018. Gil’s management style and eagerness to learn all he can about roofing has earned him the respect of those who work with him in the roofing industry. 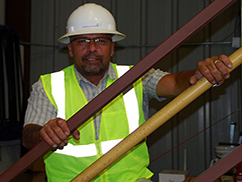 Tyrone has been in the industry since 1985 and with Tecta since 2018. He is responsible for the supervision of daily job site operations, producing production reports, job cost analyst and maintaining our safety program. Howard has been with Tecta since 2018. He is responsible for all of the accounting, payroll and finance operations of the business. Robert joined Tecta in 2018. He is responsible for the roof contracting business as Manager of the Maintenance Division of Roof Services Corporation. Rob joined Tecta in 2018. 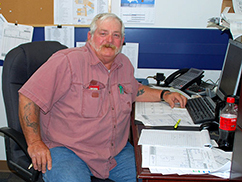 He oversees the daily operations for all crews within the Service Department as well as estimating, project managing and annual roof inspections. Adam has been with Tecta since 2018. 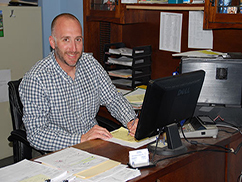 Adam is part of our Service Department he performs roofing inspections for our current and prospective customers.s. 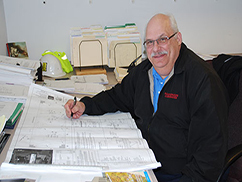 Ray has been in the construction industry for over 32 years with six (6) years of safety experience.f Services Corporation. He’s responsible for developing, implementing and enforcing strategies that ensure employees safety.